SJ Foundation has chosen to honour Subhash Chandra Agrawal with SR Jindal Prize for 2012 under the category ‘Crusade Against Corruption’ for his untiring and continuous effort to expose corruption. He has used the Right to Information (RTI) Act to bring to light numerous corrupt practices including 2G Spectrum Scam and Common Wealth Games Scam. The decision was taken by a high level Jury headed by Mr. Justice R.C.Lahoti, former chief justice of India. Subhash Chandra Agrawal is fighting against corruption, malpractices and irregularities in public life and for brining accountability in the judicial system with the weapon of RTI. 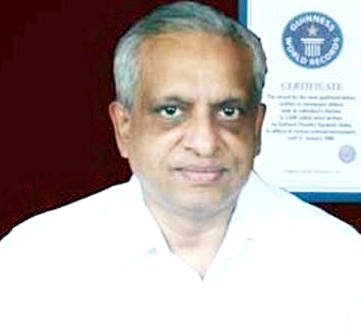 Subhash Chandra Agrawal is awarded the ‘S R Jindal Prize – 2012’ jointly with Late Satyendra Kumar Dubey, Sanjeeb Singh Katiyar and Ajay Shankar Dubey in the field of ‘Crusade against Corruption’. The Award carries a Cash Prize of Rs. 1 Crore to be shared equally. The total prize money this year will be Rs. 8 Crores where eight prizes of Rs. 1 Crore each will be awarded shortly in eight categories.